Jay Village is a small quaint town 3 miles from Jay Peak Resort on VT RTE 242. 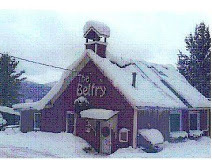 All of Jay peak rental properties are within minutes to the village. 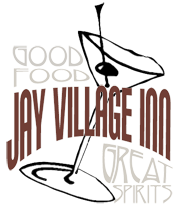 In the village there is The Jay Country Store offering Groceries, a Deli, Gas , Gifts and more! 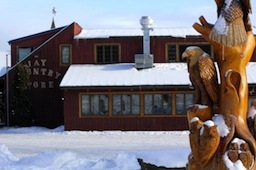 Across the street is The Jay Village Inn & Restaurant, a great family restaurant with an outdoor pool open to the public in the summer and a great pit stop for snowmobilers in the winter. Also, in the village is the Town Clarks office, Jay Auto and The Snow Job, a shop for all your outdoor gear! Neighboring towns & villages include; North Troy, Troy, Westfield, Montgomery village & center and Newport center & Newport. All 25 minutes or less from all our Jay Peak rentals. Traveling from village to village will offer beautiful scenic valleys to the highest peak in the North East Kingdom. Favorite summer activities include: road biking, Mountain biking & motor biking and more. Hiking the famous Long Trail, many day hikes, like Jay Peak, Burnt Mountain, Belvidere and Hazen's Notch- just to name a few! Guide books are offered at local town stores. Other Summer activities are wildlife watching(- deer, moose, bear and birds! ), swimming( especially local swim holes), fishing, hunting and canoeing. And golfing at the championship golf course at Jay peak resort. Winter Favorites are Skiing, Snowboarding, Skating, Snowmobiling, Snowshoeing and cross-country skiing. All the actives are available at Jay Peak Resort. However, Snowshoeing and cross-country skiing are also available at The Hazen's notch ski center and near by Catamount cross country trails. As far as snowmobiling many of our Jay Peak rentals properties are on or near the VAST trails, which cover 3,500 miles of Vermont. CLICK PHOTOS BELOW TO LINK TO SITES!